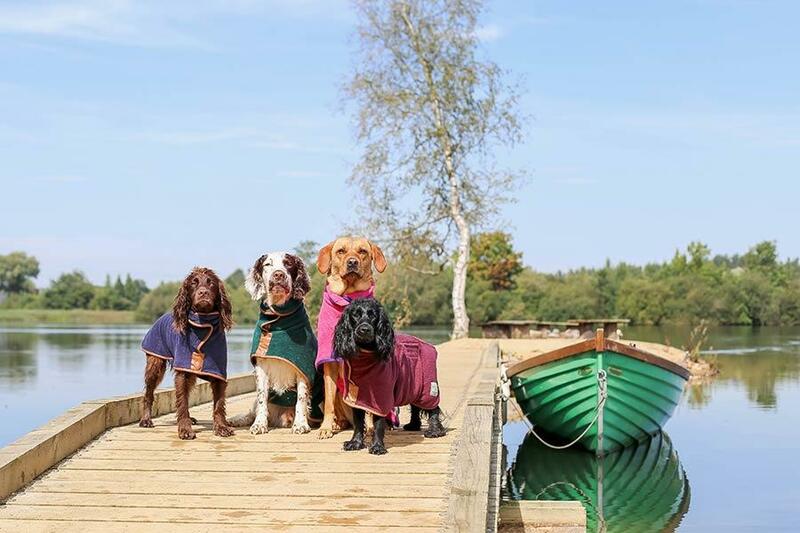 Book a dog training holiday in the Cotswolds with us and enjoy amazing lakeside views from your secluded cabin, take a dip in the hot tub, enjoy endless outdoors walks with your four legged friends and make the most of the great outdoors with some wonderful al fresco dining. Our lavishly designed eco-friendly holiday cabins are built for complete doggy luxury as well as complete luxury for their owners – and we can help you organise the perfect dog training course to make your stay special and unique. With our specialist dog trainer Keith Fallon, who was featured on BBC’s Countryfile, we can bring you expert help and create a bespoke holiday for you, your dogs and the entire family. Have a read of what we have to offer for dog training courses below and get in touch with our trainer to discuss what you are looking to achieve. Once you’ve confirmed the availability with our dog trainer, simply book your holiday through our website. 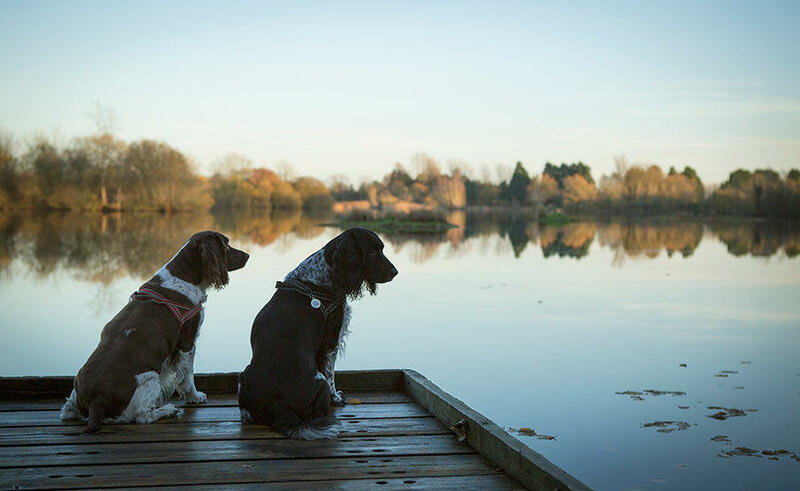 Our holidays are all about seclusion and space, which means your dogs can roam more freely and you can get the peace that you need for a perfect dog friendly escape in the Cotswolds. All the family had a great time and the course was so effective with our Labrador who obviously enjoyed the water training! All of the course will be run from our site, either in our 4 acre playing field, from the lake shore or next to your luxury holiday cabin. 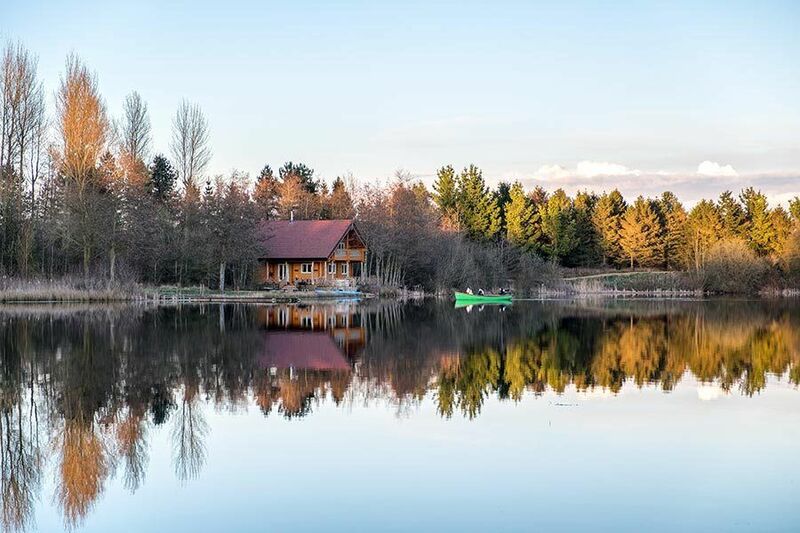 Unspoilt lake views and a peaceful environment provide a great place to escape to and unwind – for both you and your pet. Inside, the open living spaces allow enough room for your dog beds and toys plus each cabin features tasteful bathrooms, bespoke fully equipped kitchens, a real log fire, outdoor decking and hot tub, BBQ facilities and plenty of private land for your dogs to run around in. No other cabin will be in sight so you can enjoy a romantic break whilst having ample space and time to train your dogs. As well as our fantastic 2.5 mile lakeside and woodland walk, you will also have access to a 4 acre playing field which is a great place to try out what you’ve been learning in your dog training lessons. If you’re feeling energetic, take advantage of being on holiday in the Cotswold Water Park with bikes or on foot with the family or take a walk to the source of the Thames to stretch your legs. There are lots of other things to do too such as fishing, checking out the abundant nature that made our site an SSSI or exploring the islands with your own rowing boat. For chilled out days, all of our cabins have TV’s, a mini library of books and plenty of board games. All in between enjoying the lakeside hot tub of course!